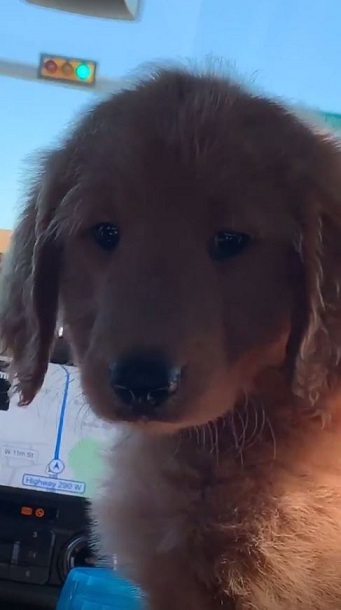 One of the guys I follow on YT just got a goldendoodle puppy today. He's cute! Actually saw one the other day at a home I was working at. It wasn't the owner's dog... someone was walking him as I pulled up to the house. Pretty cool looking dogs. Got another poster with great reviews he finally give up and just started saying thx to them. I should start charging these guys for the classifieds. This guy must've pulled the glass on this one, it was done edge to edge and top to bottom. I popped the top of the panel, looked down at the bottom edge, and had a wtf moment. Made it a bit of a pain to remove. Mine definitely wasn't like that funny I went to the driver's side and it had a slightly large gap, weird. When I went back to scrape the adhesive left behind it appears that whatever film was on there had dye in the adhesive too. Seems odd to me to go through all that trouble to have a nice installation and use a cheap film.